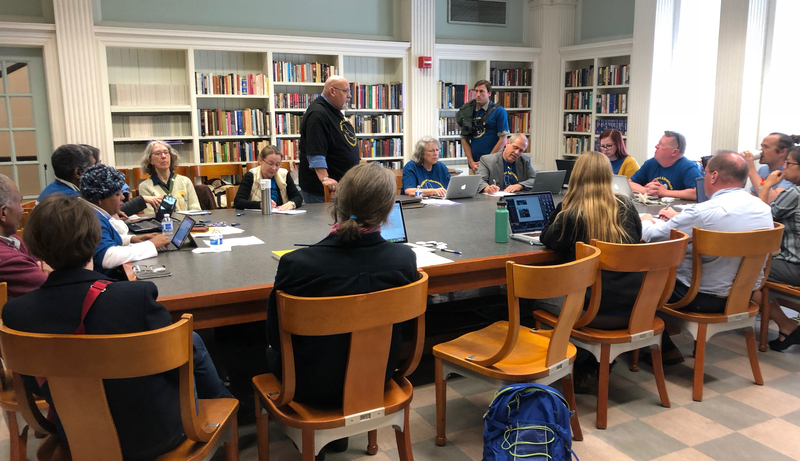 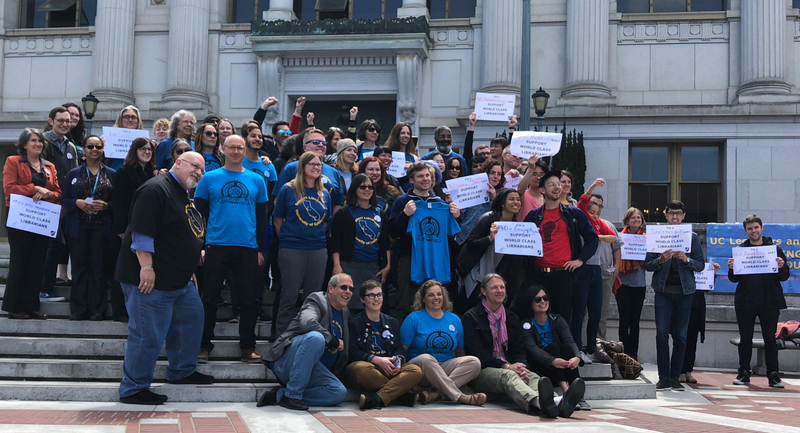 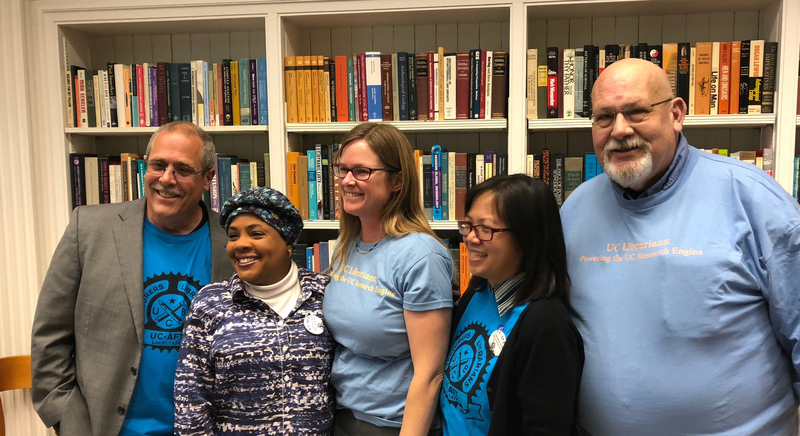 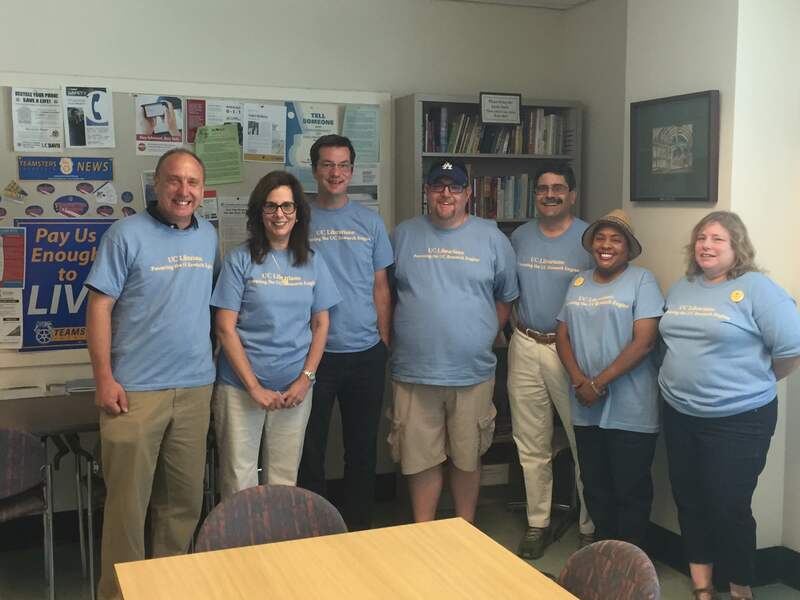 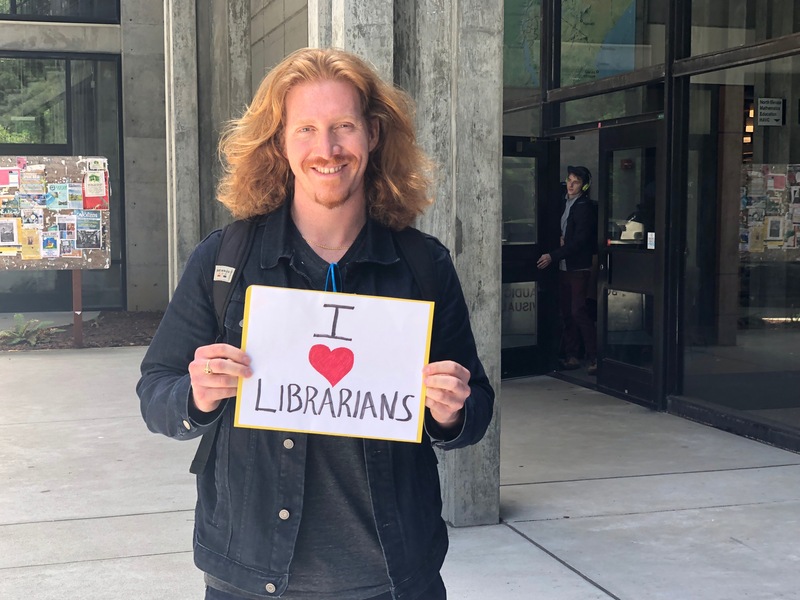 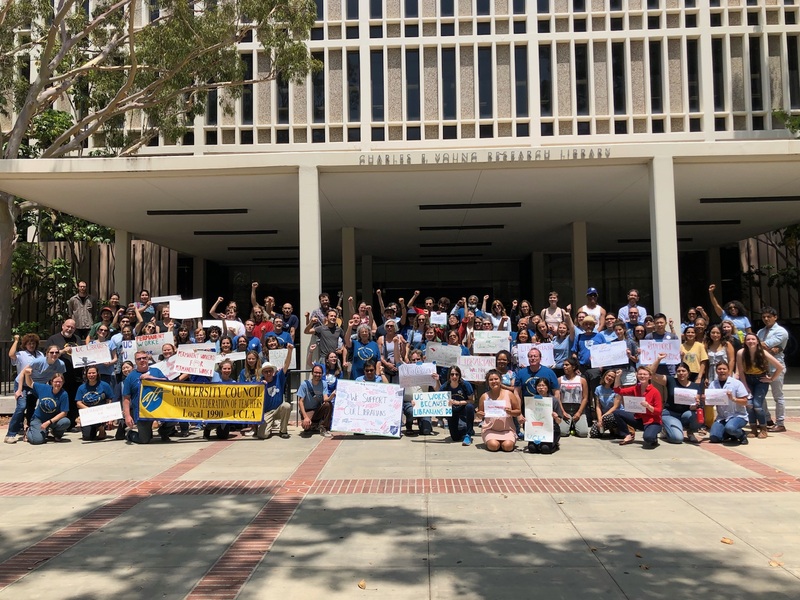 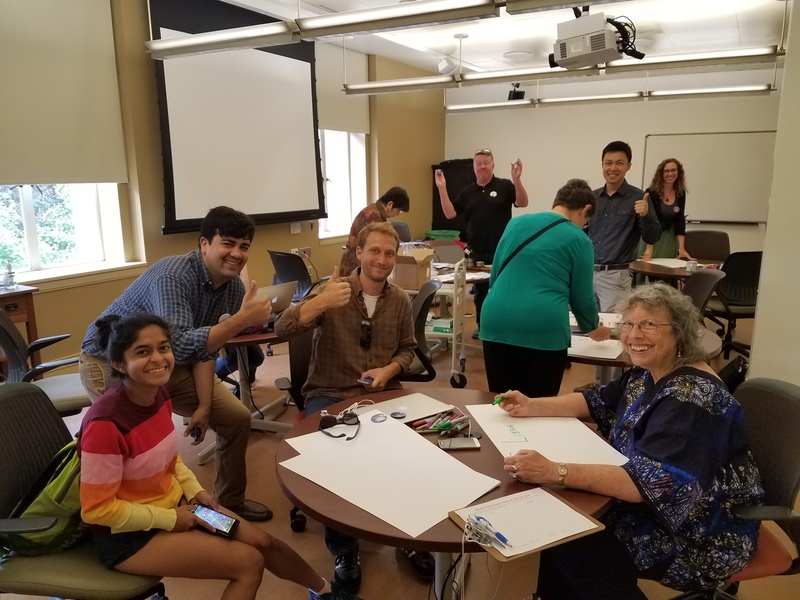 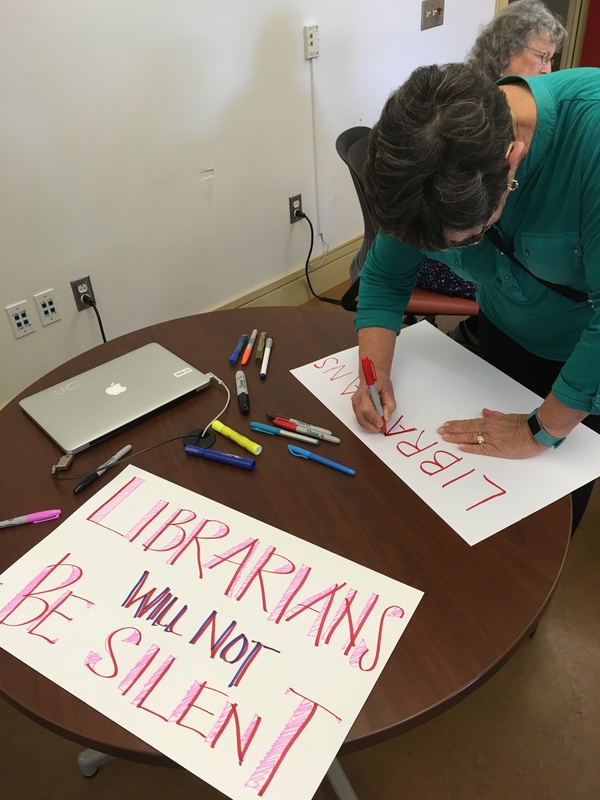 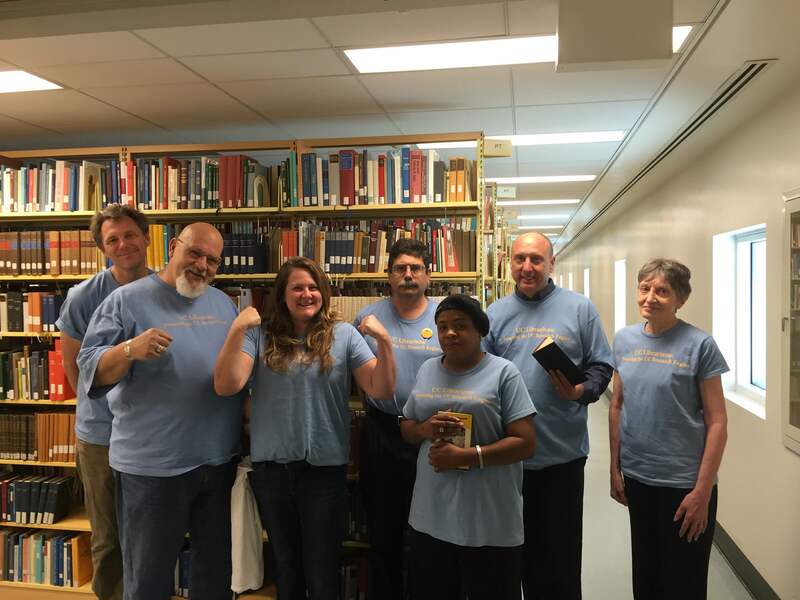 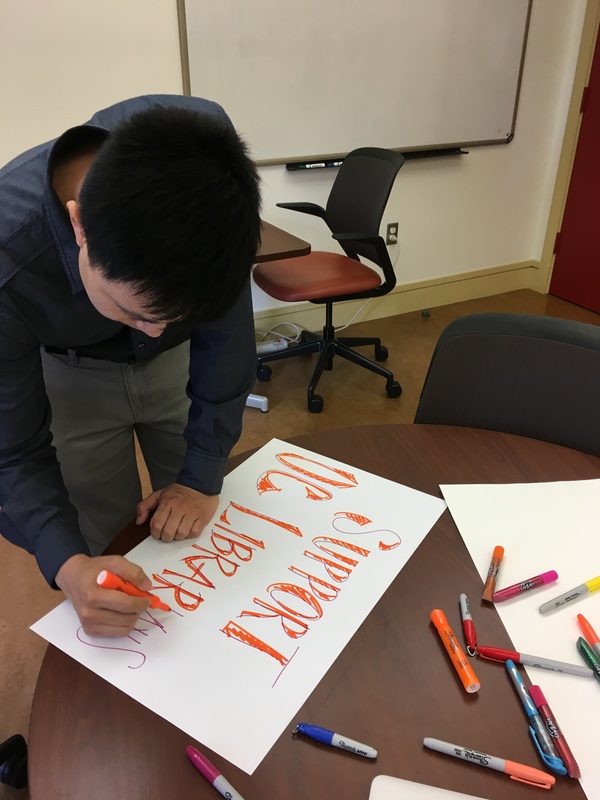 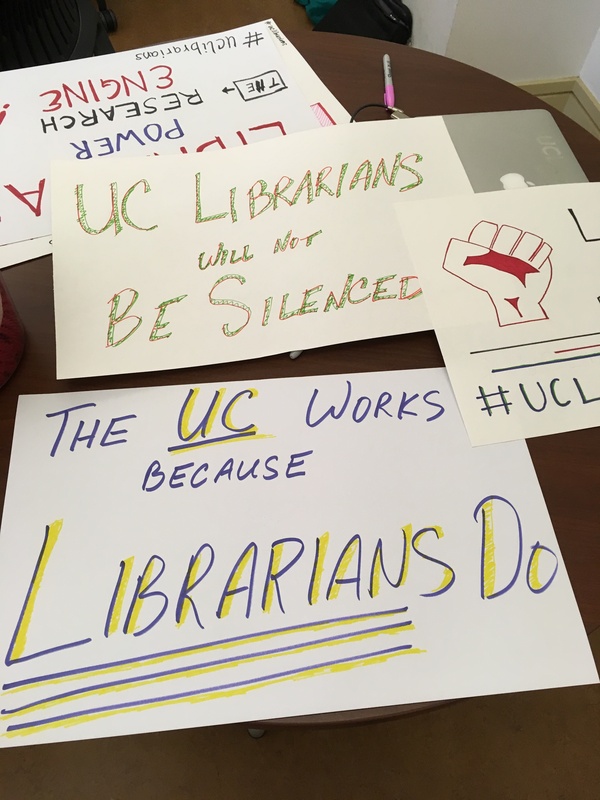 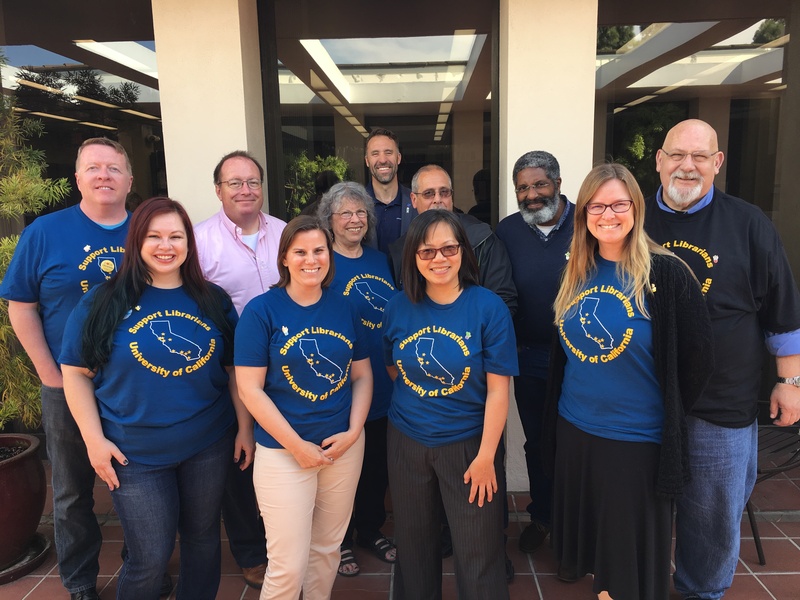 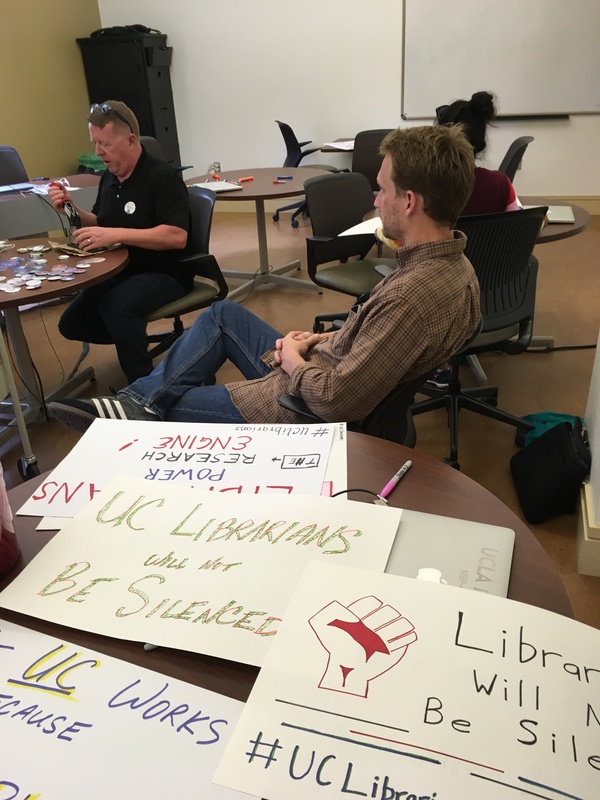 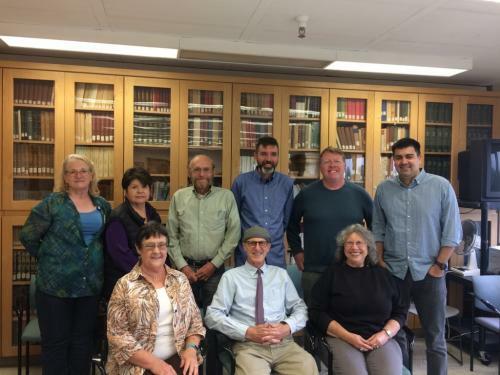 UC librarians are working for a fair contract that includes recognition of the role of academic freedom in allowing us to carry out the teaching and research mission of the UC. 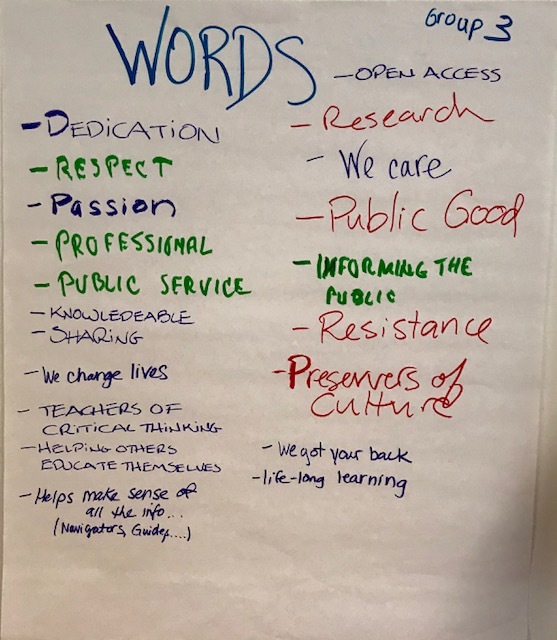 In talking about that, we have sometimes used careless language implying that we don’t value our library staff colleagues and their contributions to our shared mission. 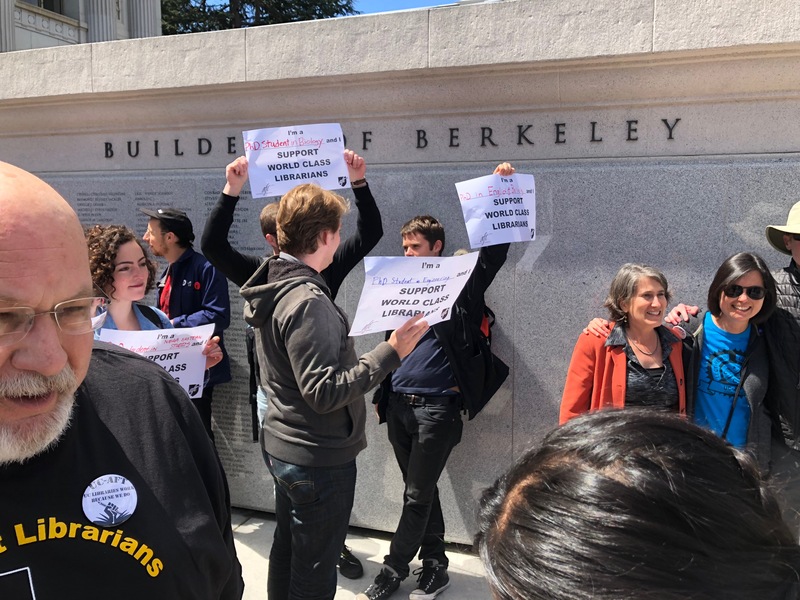 We need to apologize for that. 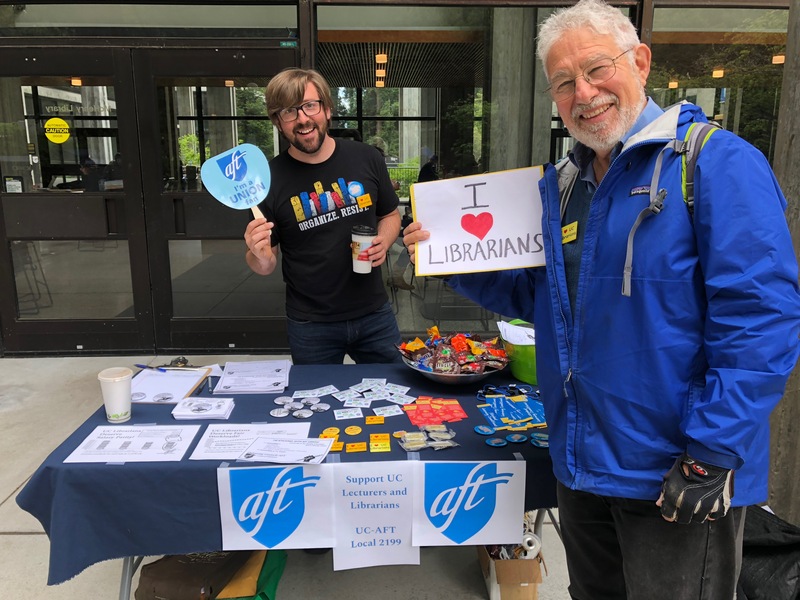 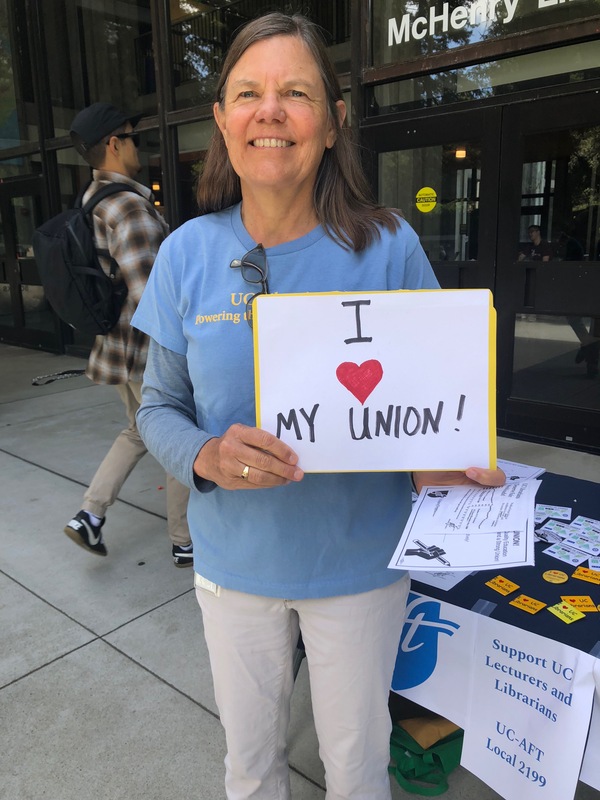 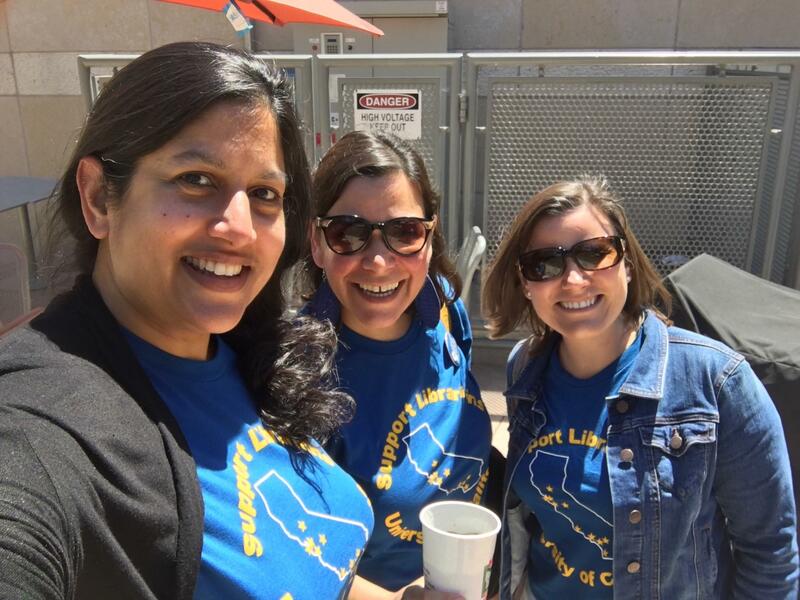 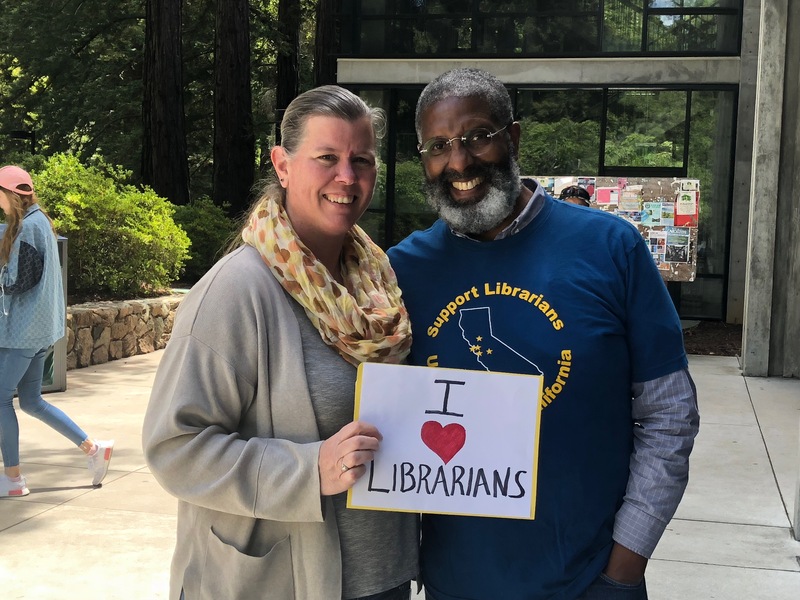 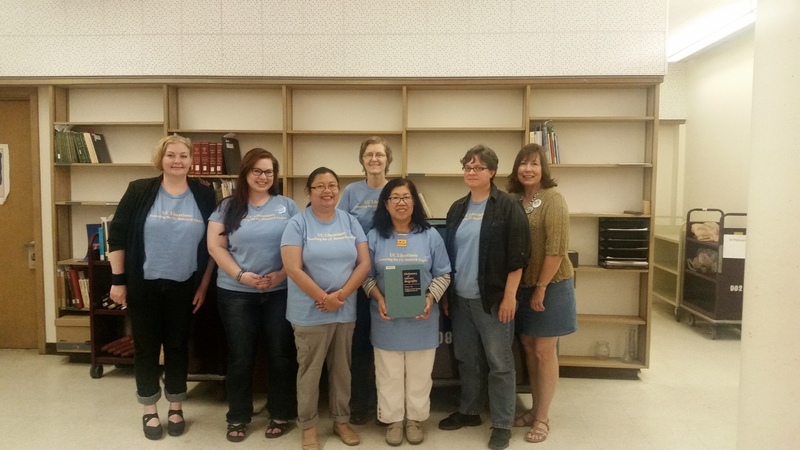 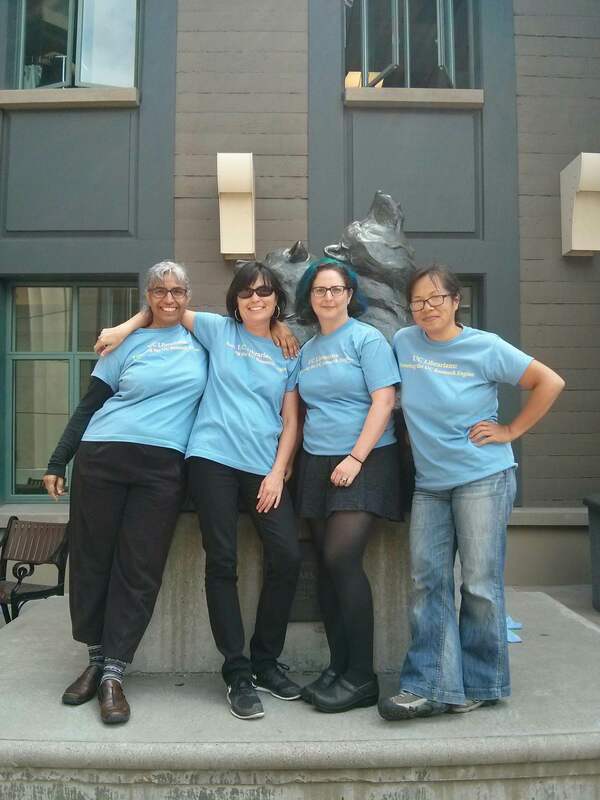 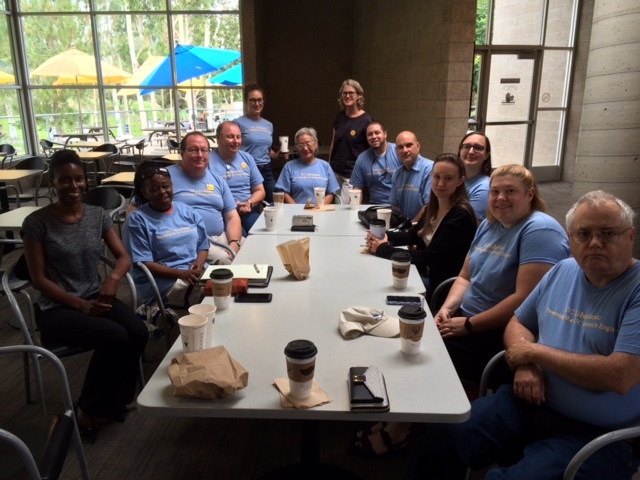 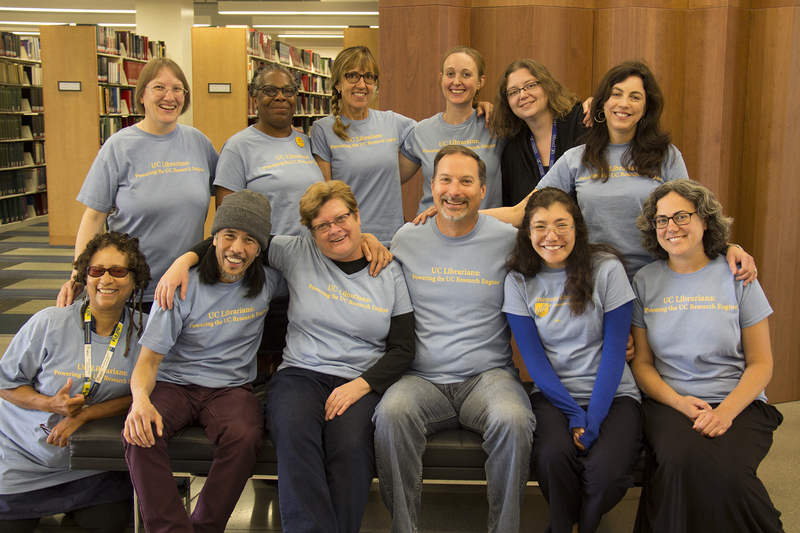 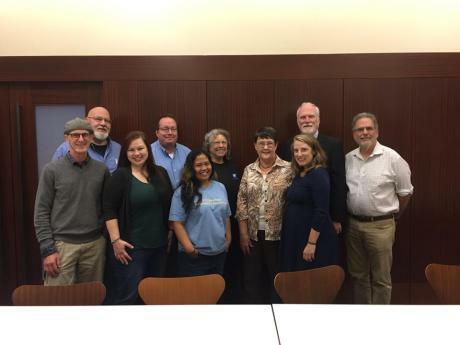 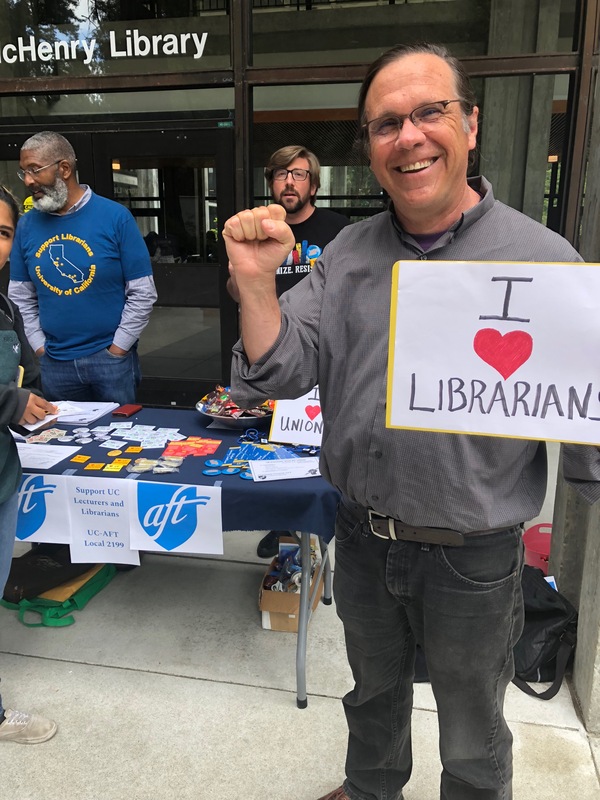 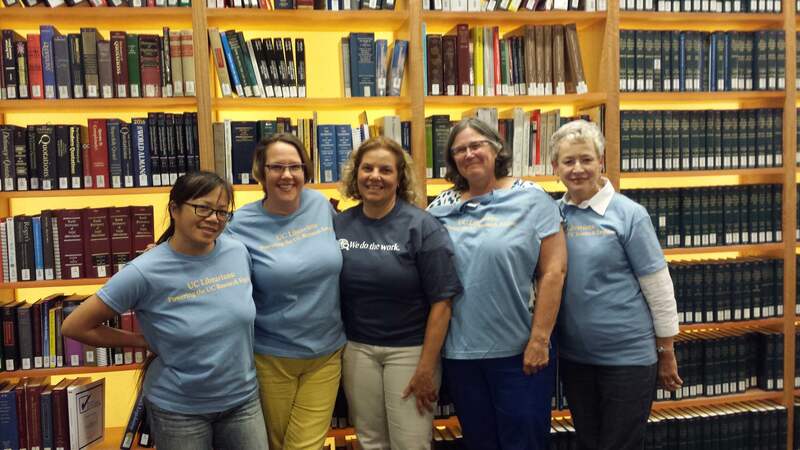 UC-AFT librarians absolutely depend upon and celebrate the professionalism of the library personnel represented by our sister unions, the Teamsters, AFSCME & UPTE. 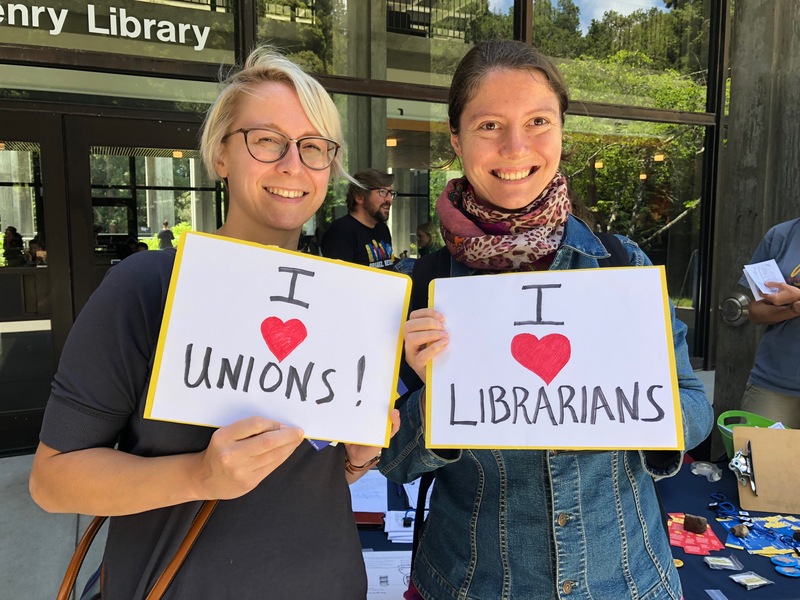 These valued colleagues from all of the unions in the library system bring their intellect, experience and training to our collaborative efforts. 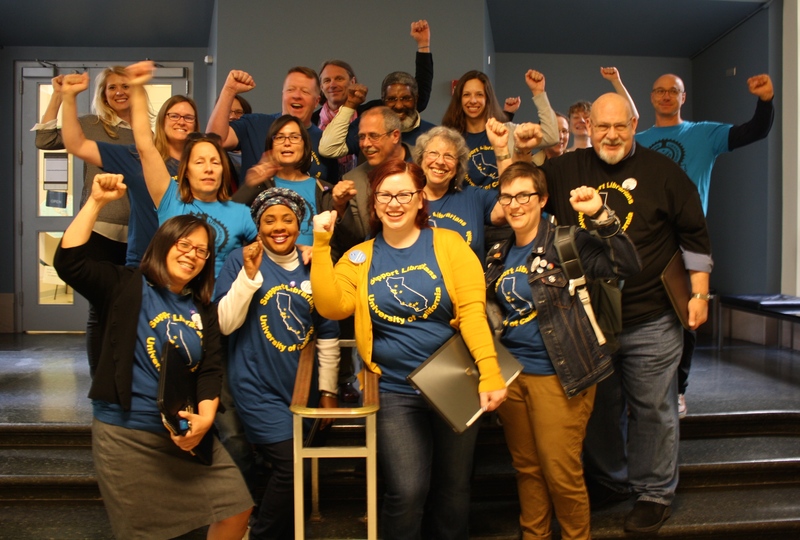 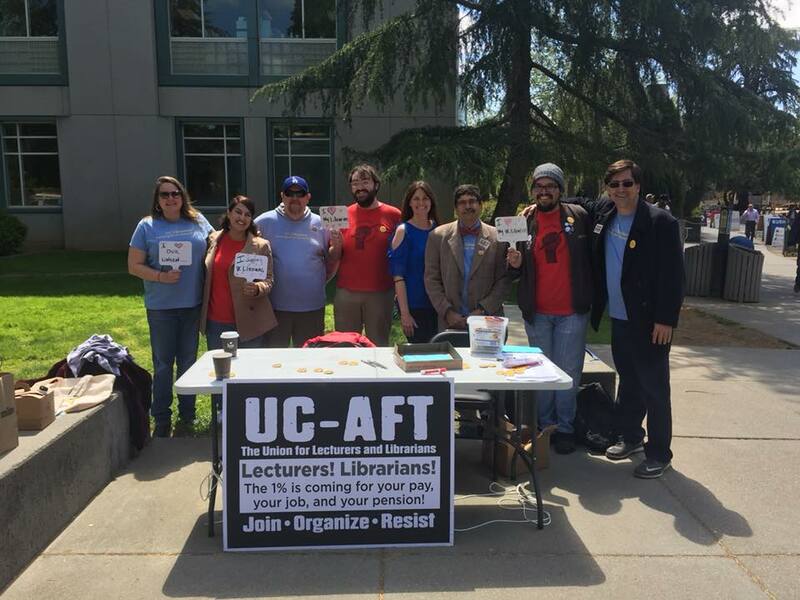 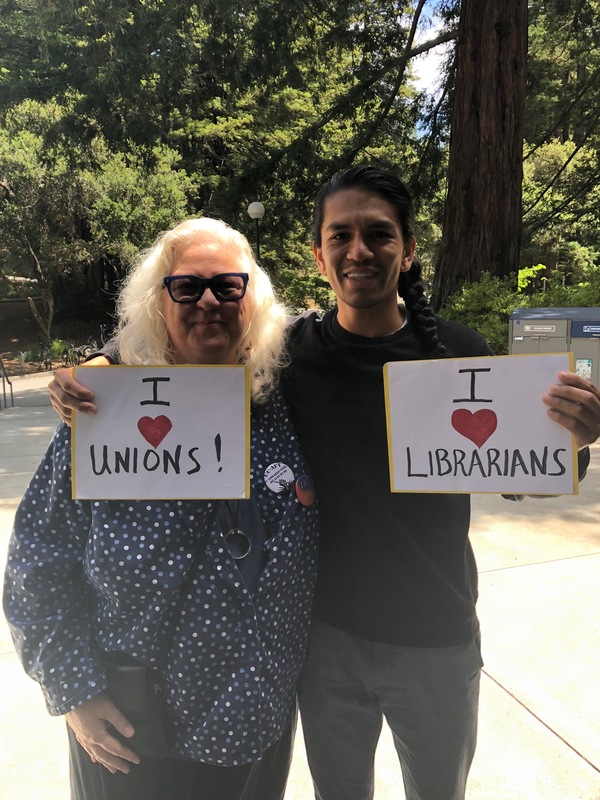 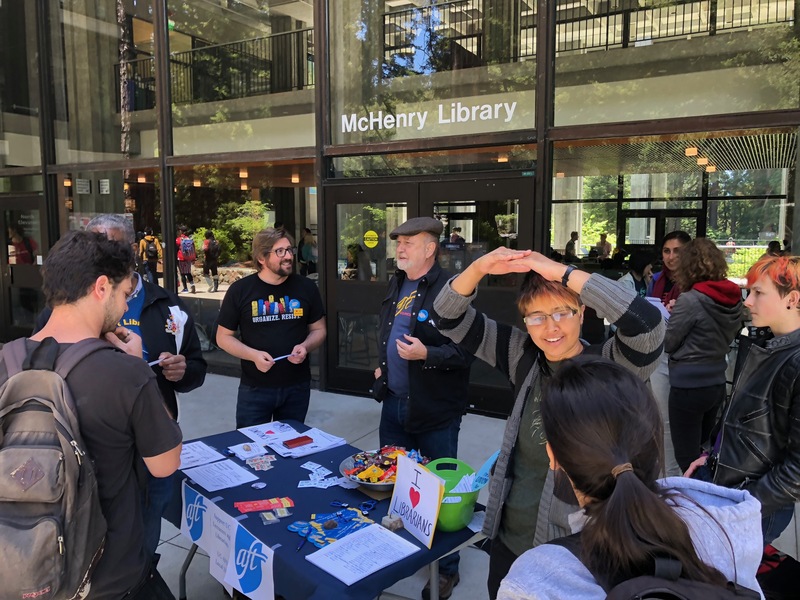 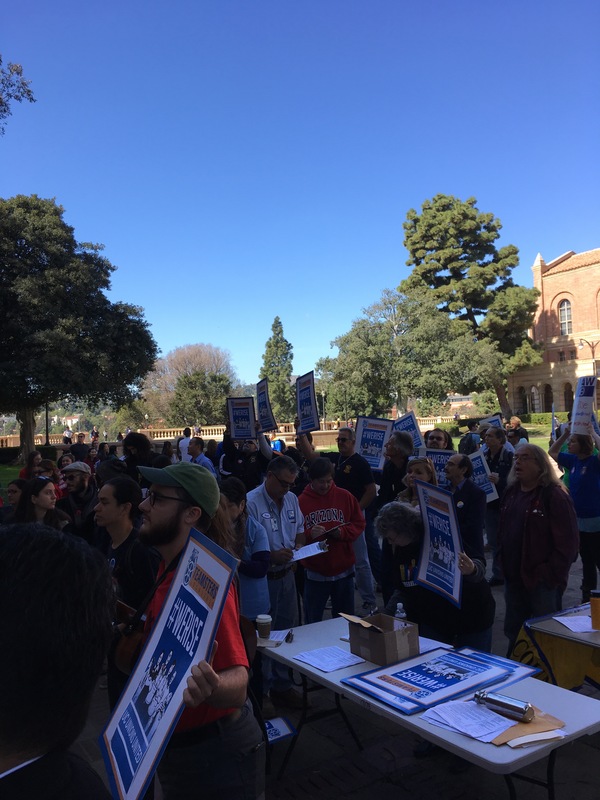 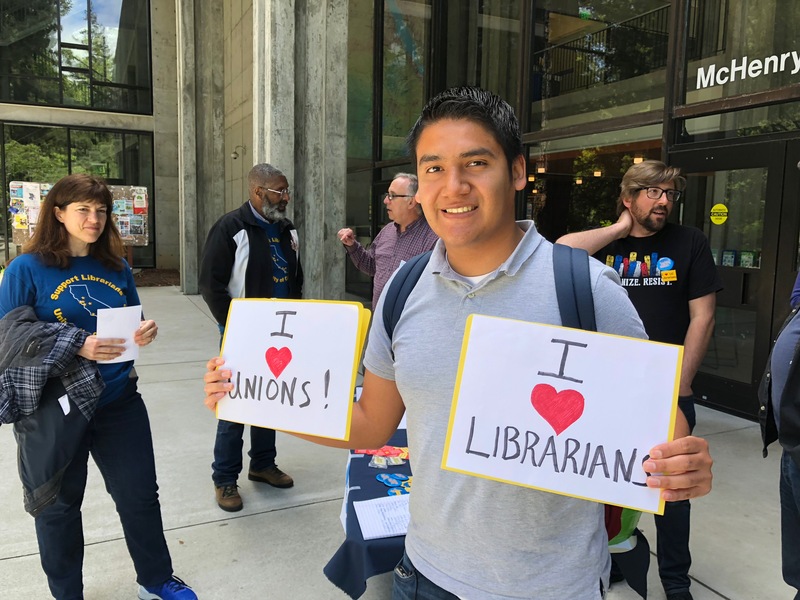 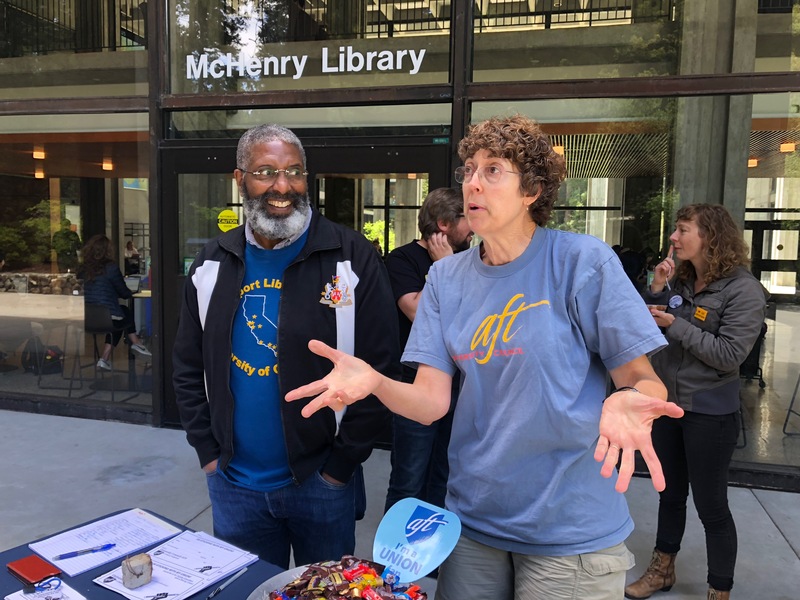 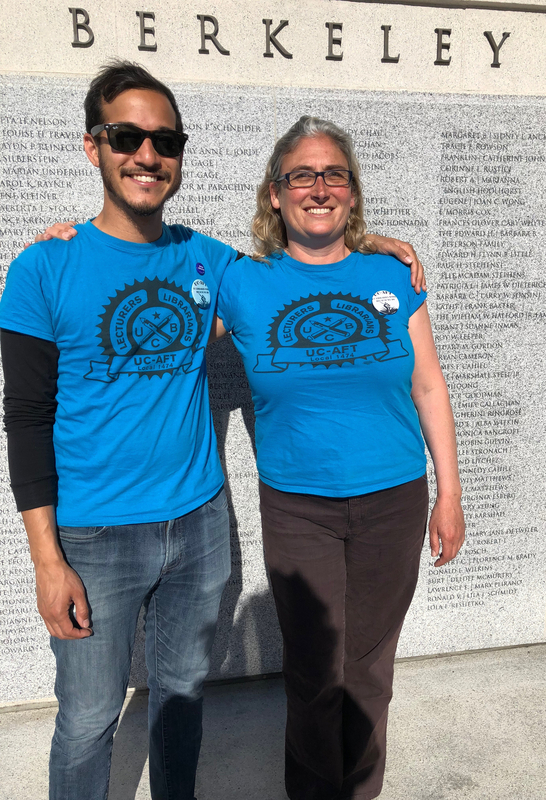 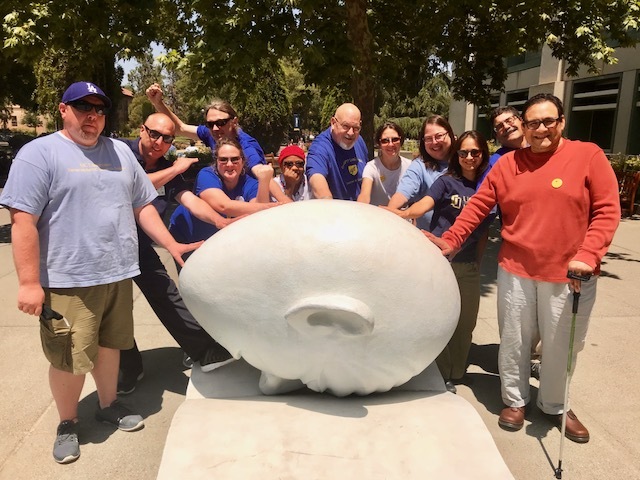 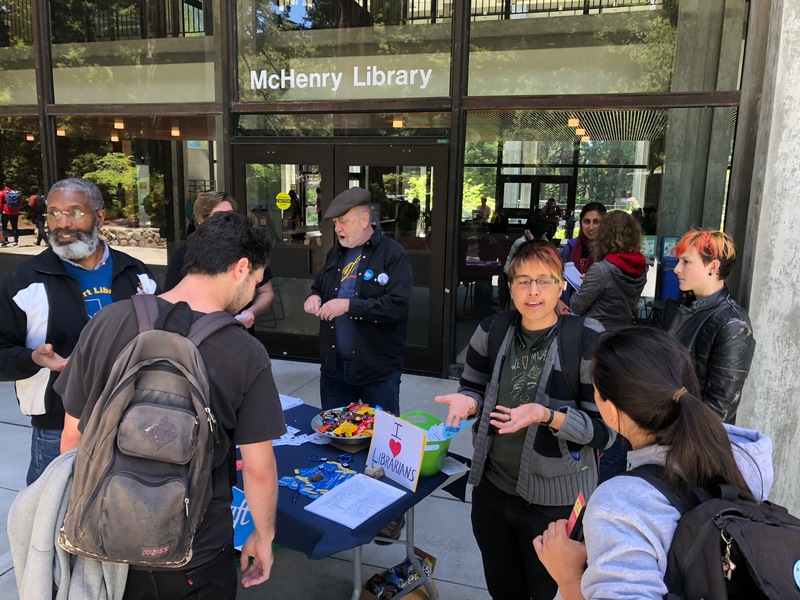 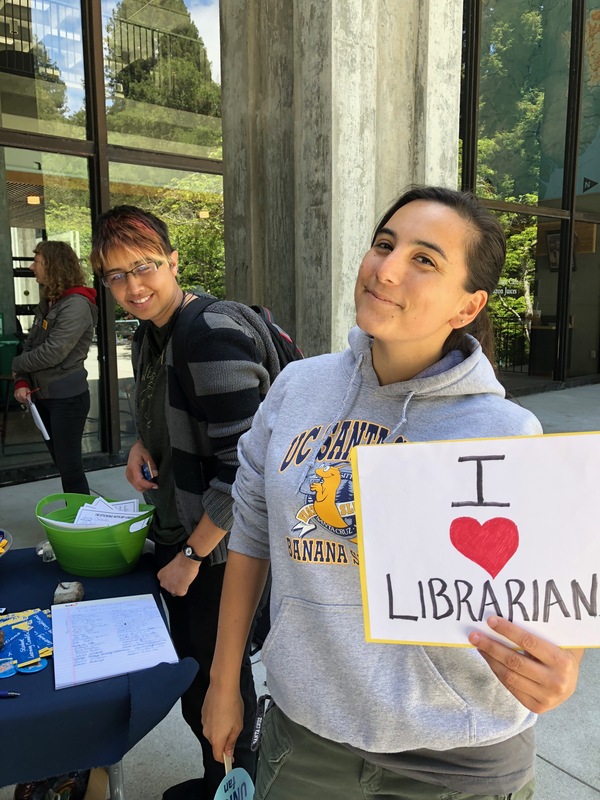 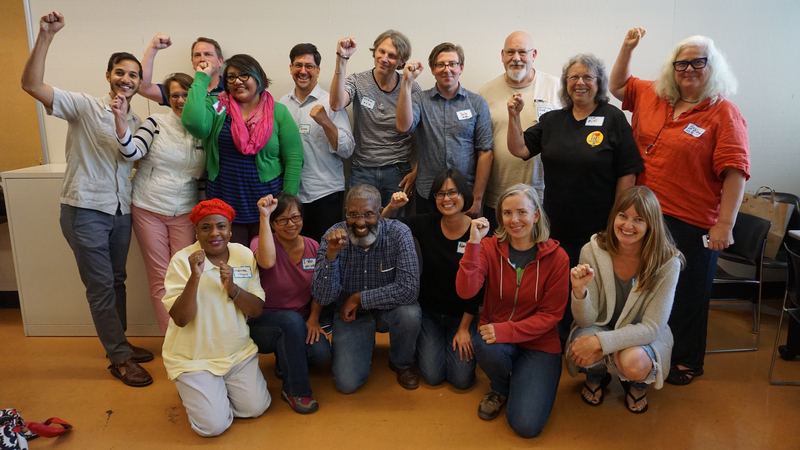 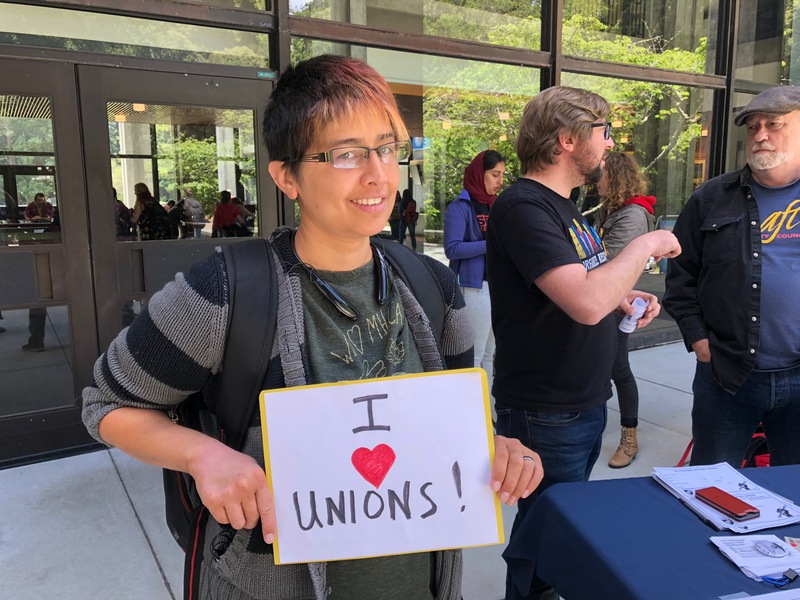 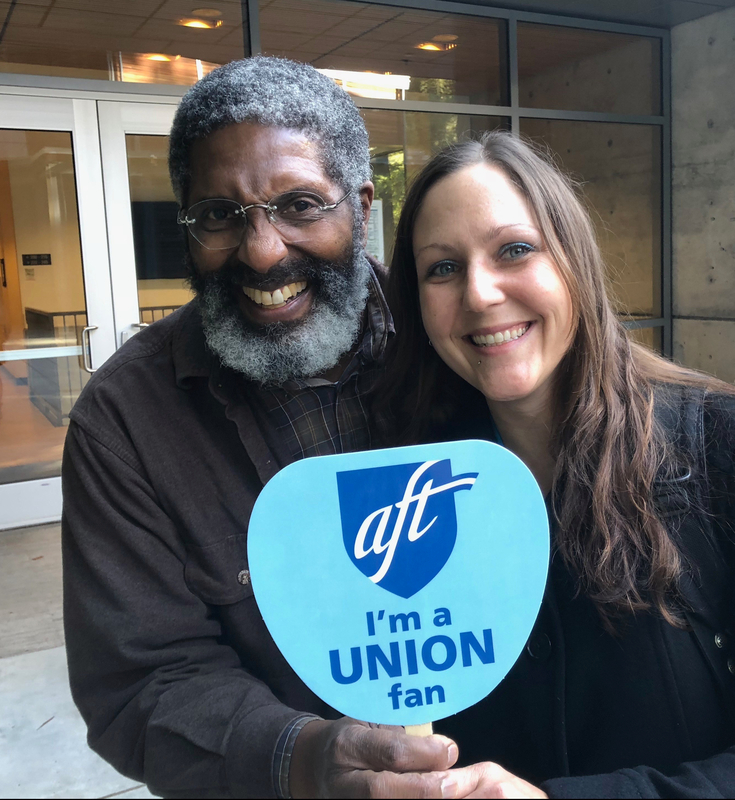 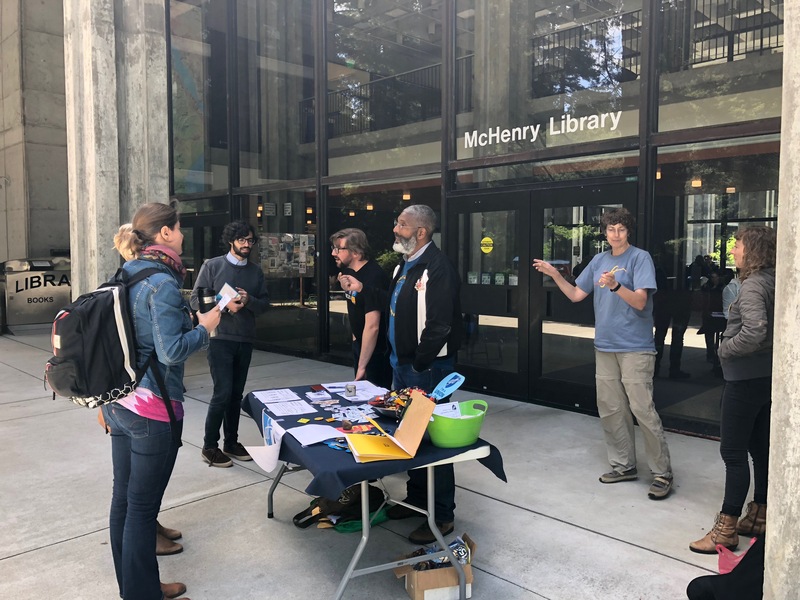 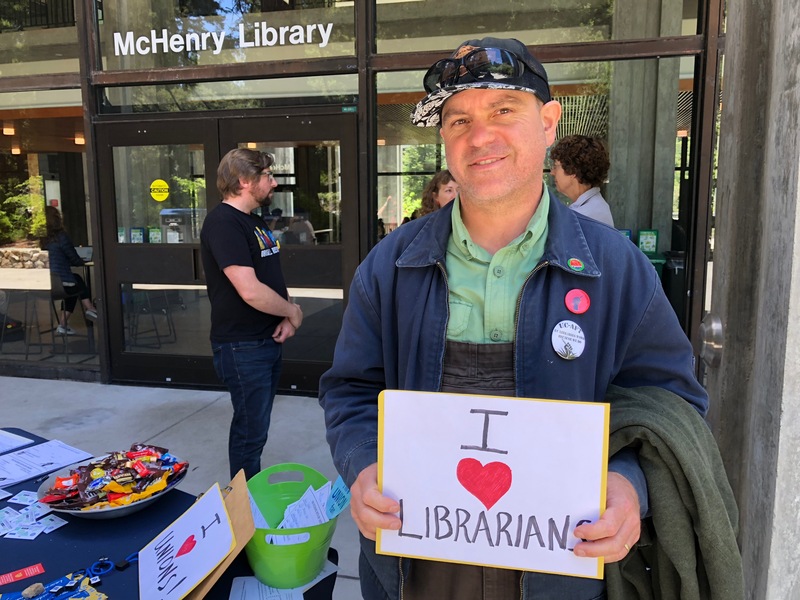 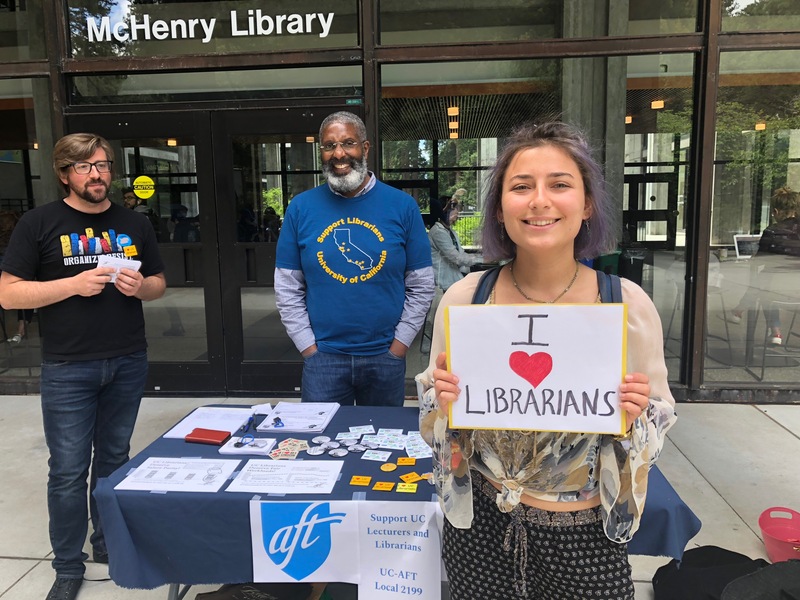 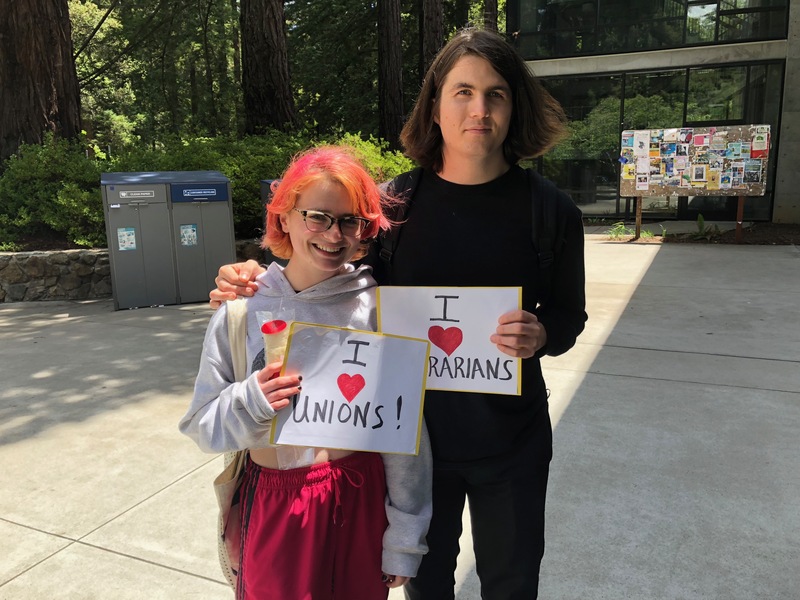 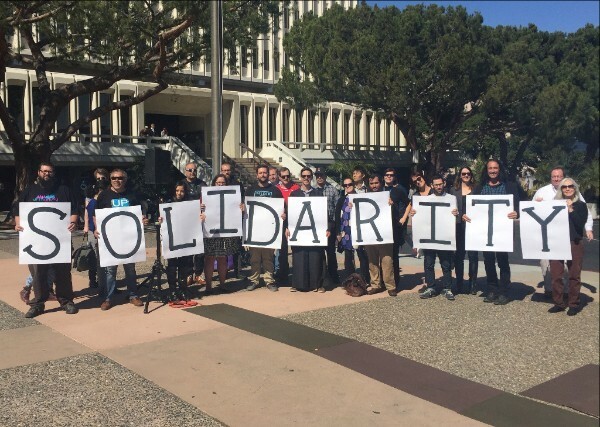 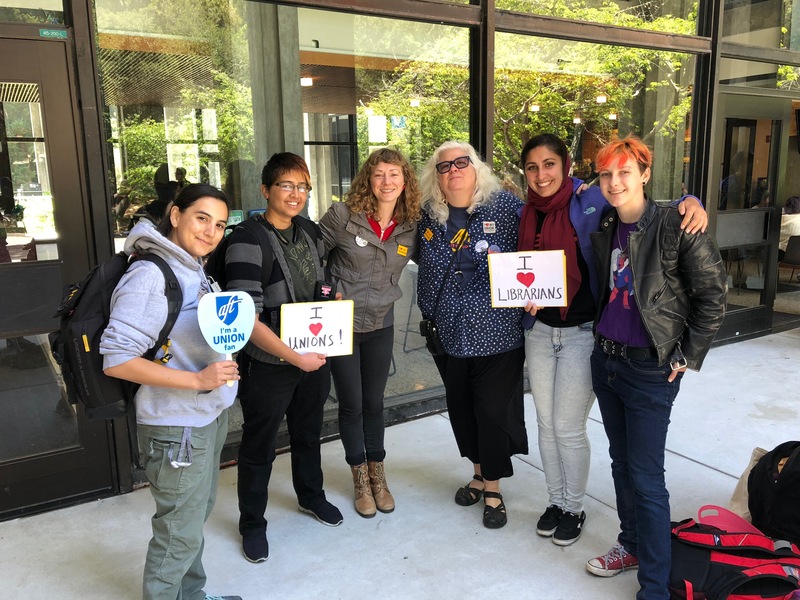 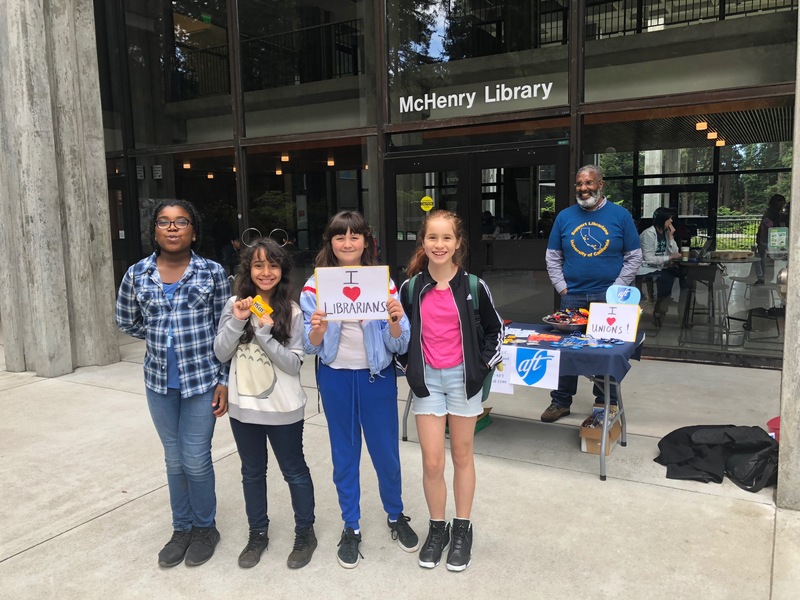 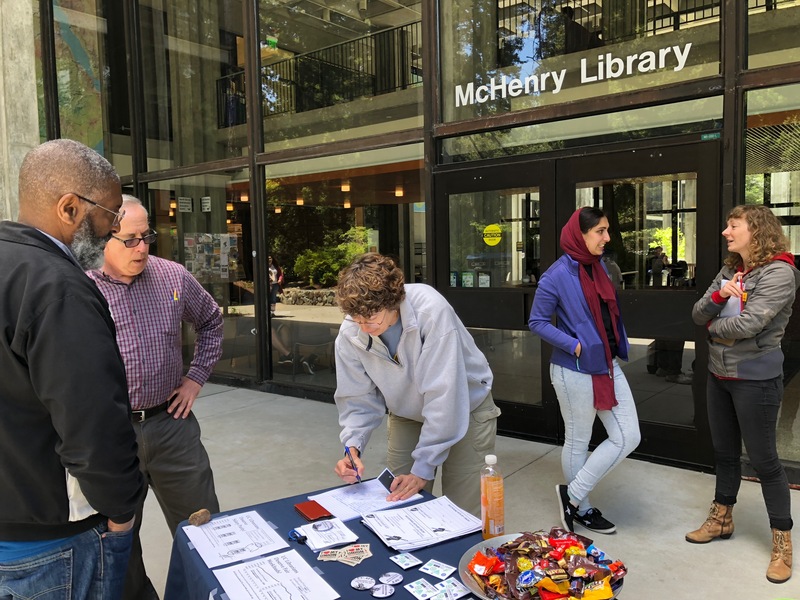 Just as UPTE, AFSCME and Teamster employees have long struggled to secure university recognition for the essential roles they play in support of UC’s educational mission, librarians are struggling to retain our hard-won academic status. 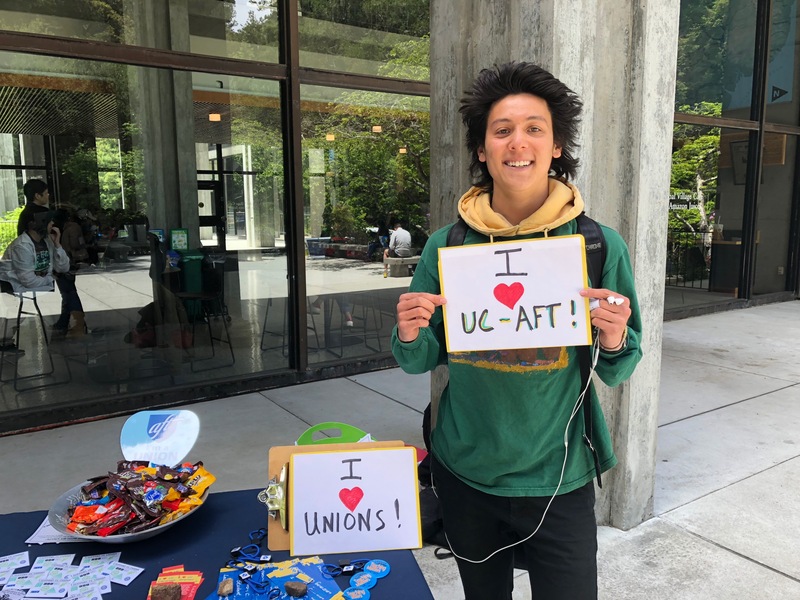 All UC employees are now under attack as the University seeks to privatize and outsource our labor, and to diminish our status by downplaying our importance in the lives of students and the University’s mission. 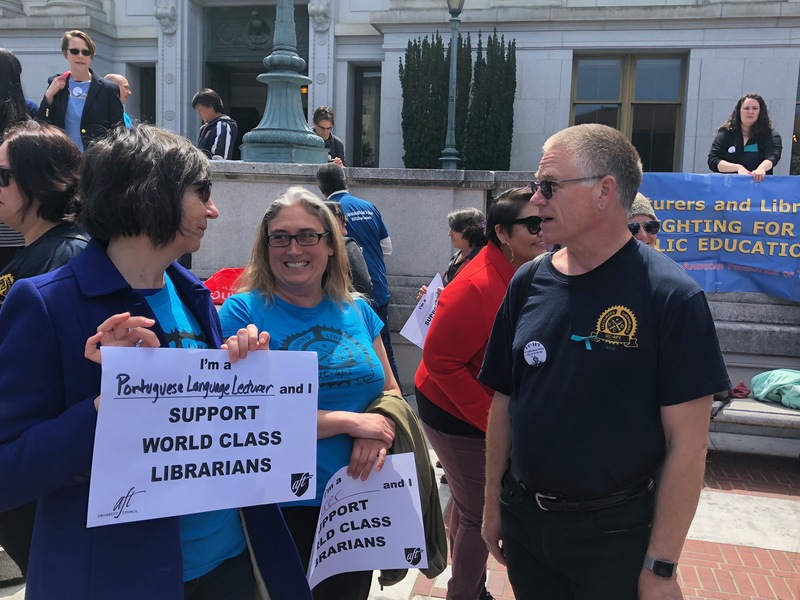 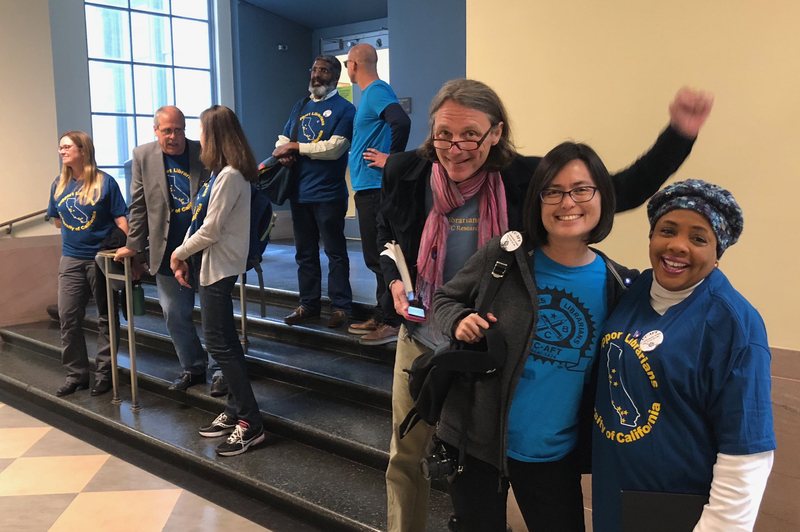 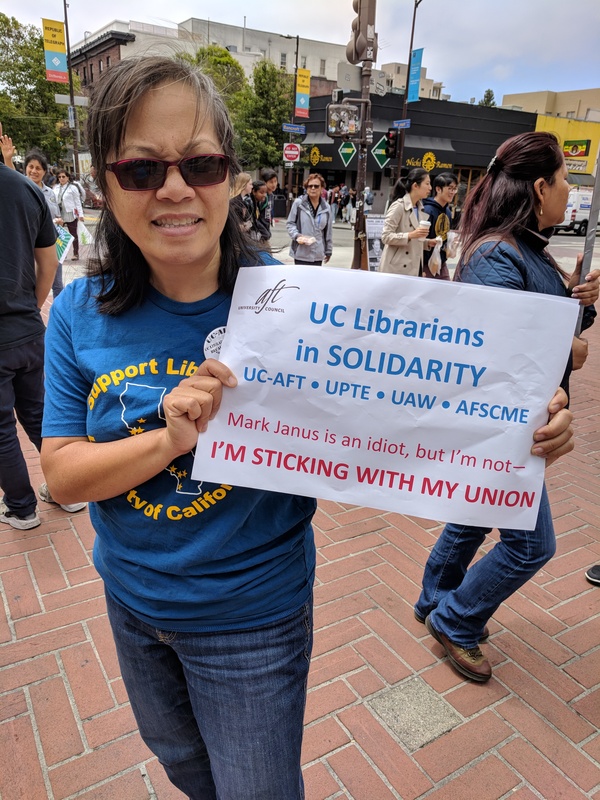 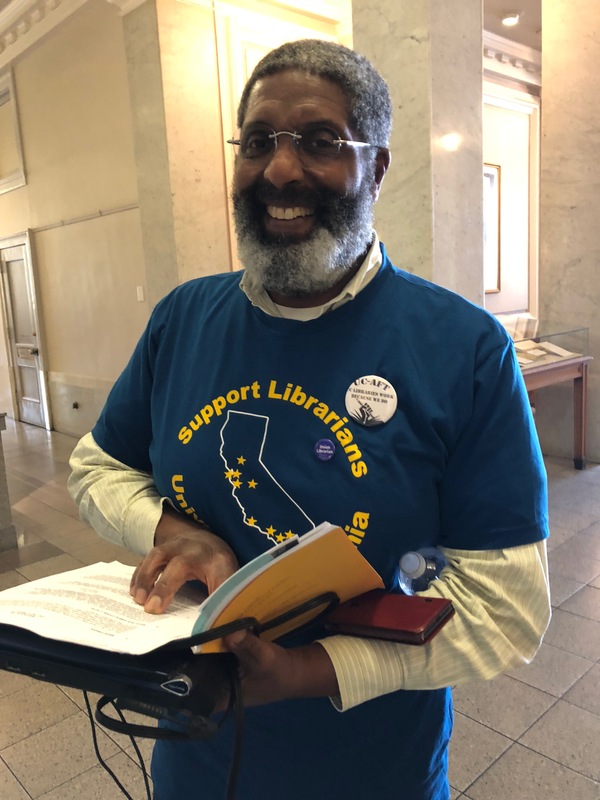 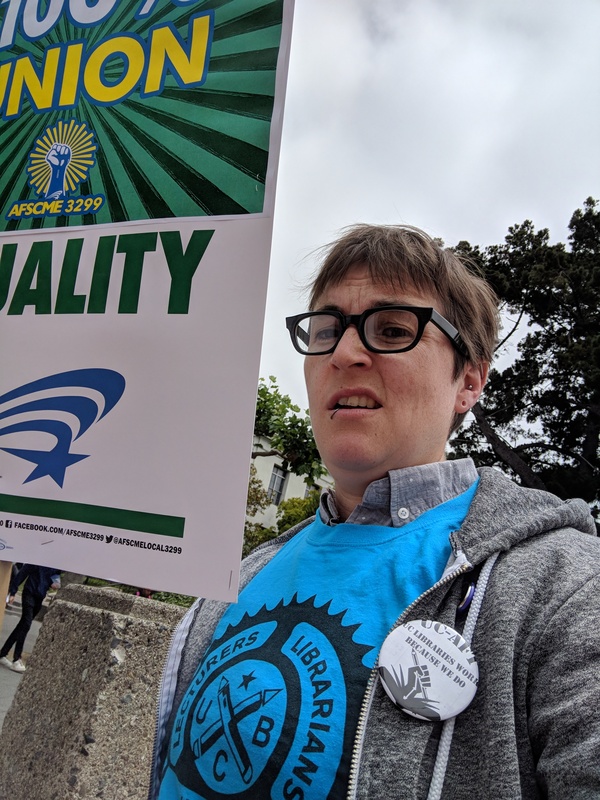 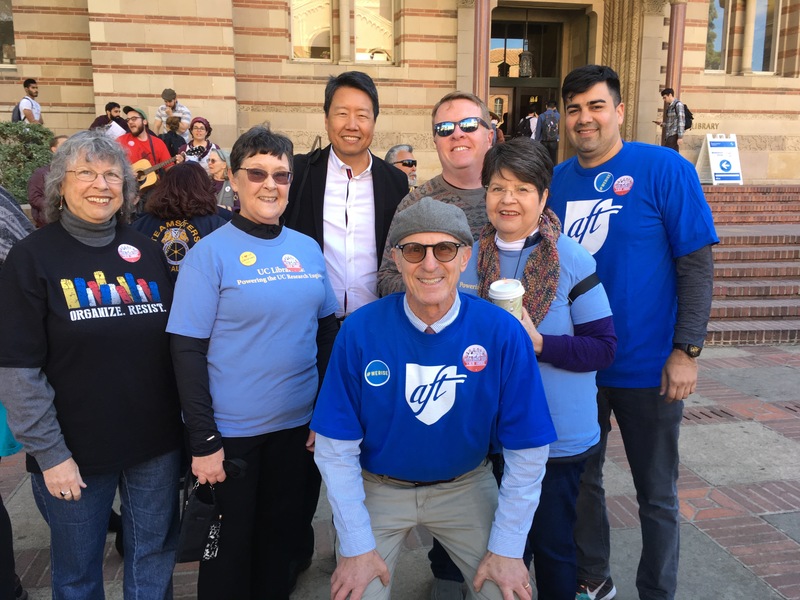 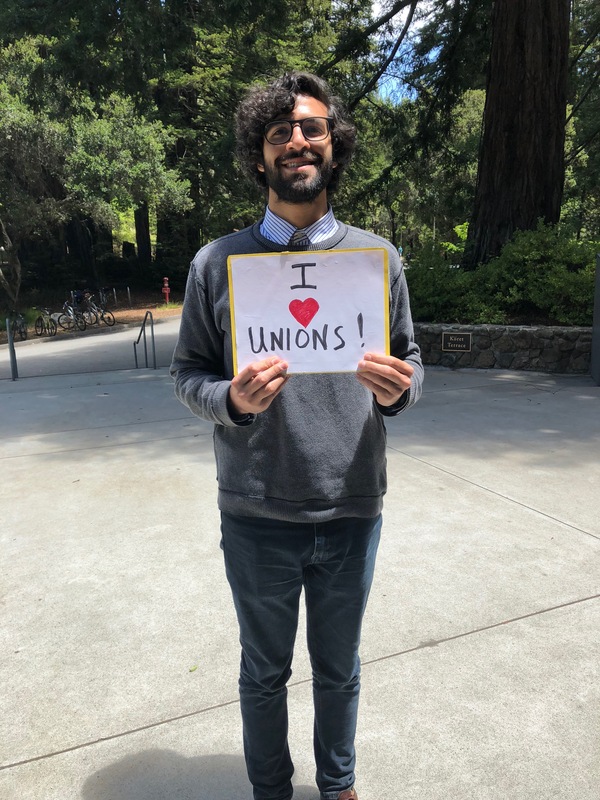 As librarians, we should have been more conscious and precise in our choice of words, and should have better articulated that UC-AFT’s struggles for fair wages and living conditions are the same as UPTE, AFSCME and the Teamsters. 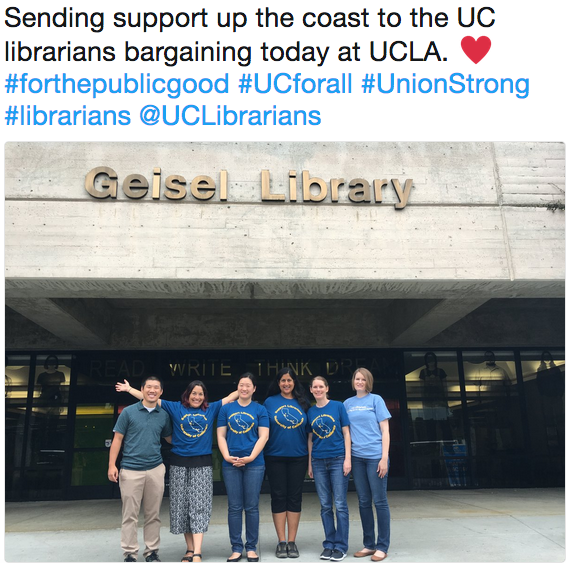 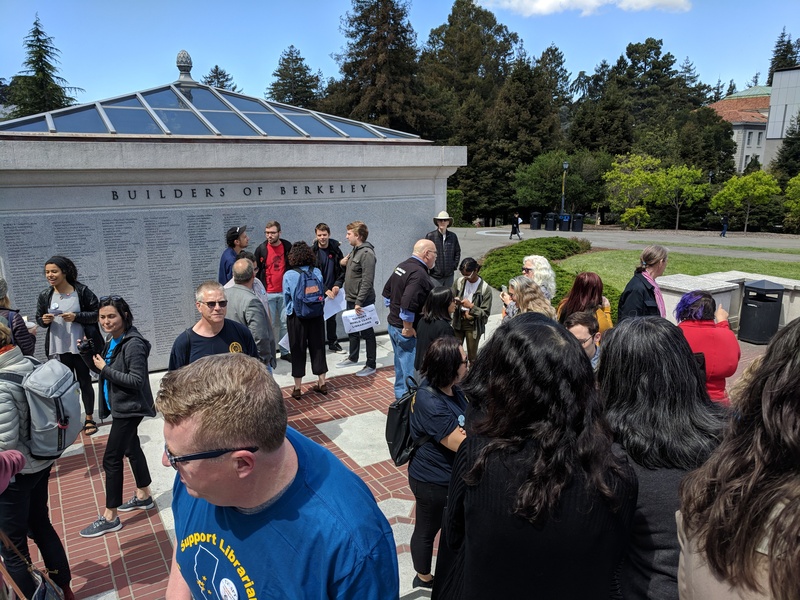 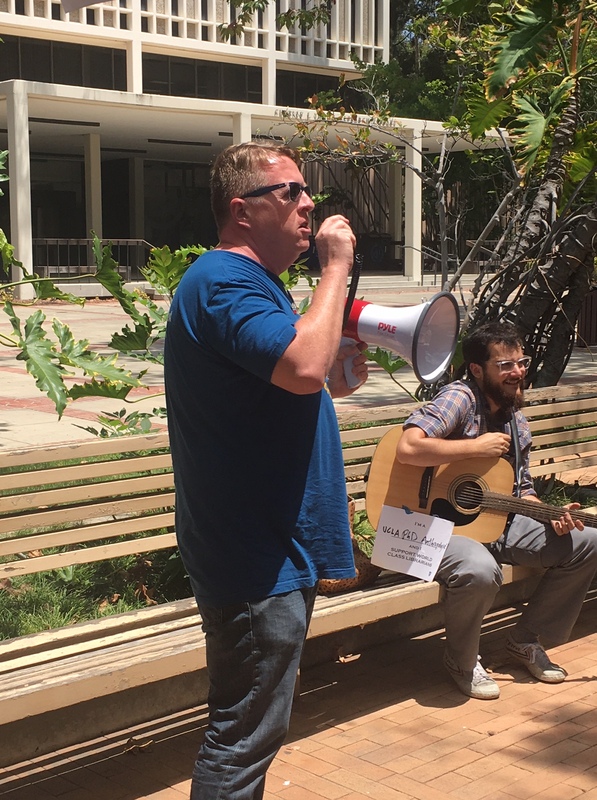 The University’s attempt to diminish librarians’ academic status is consistent with their attempt to outsource and underpay other UC workers. 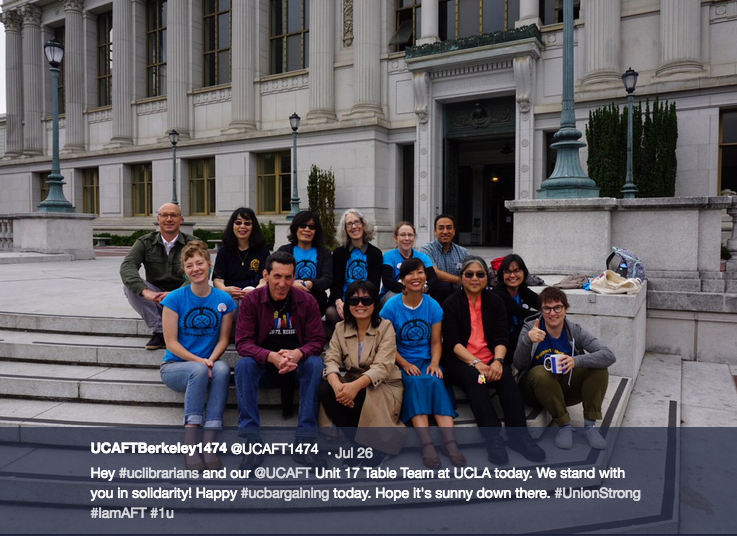 In this atmosphere it can be tempting to see ourselves as pitted against one another – represented and non-represented employees, academic and non-academic workers – while the UC continues to drive down wages and diminish all of our stature. 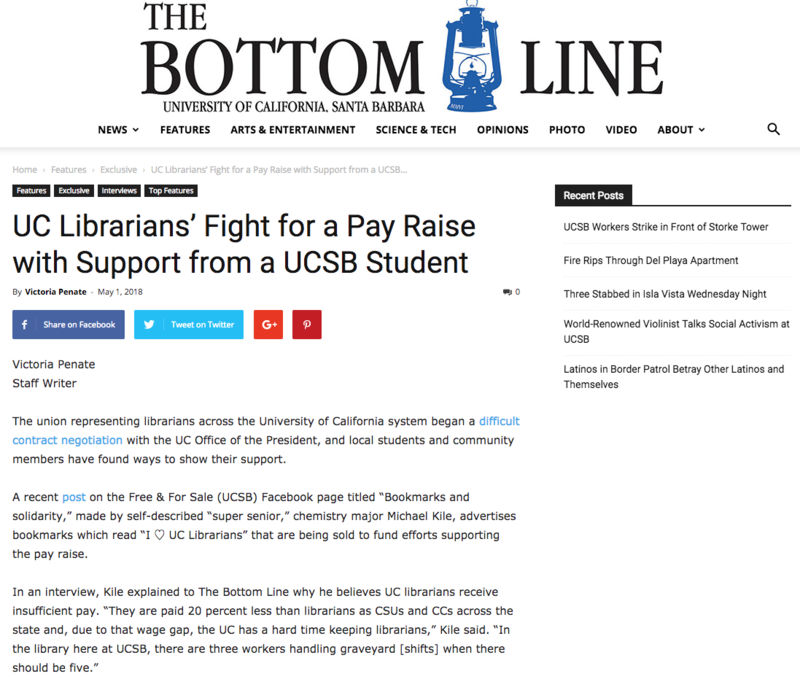 In criticizing the University’s treatment of librarians as staff lacking academic protections, we fell into that trap – a blunder that we appreciate being called out on. 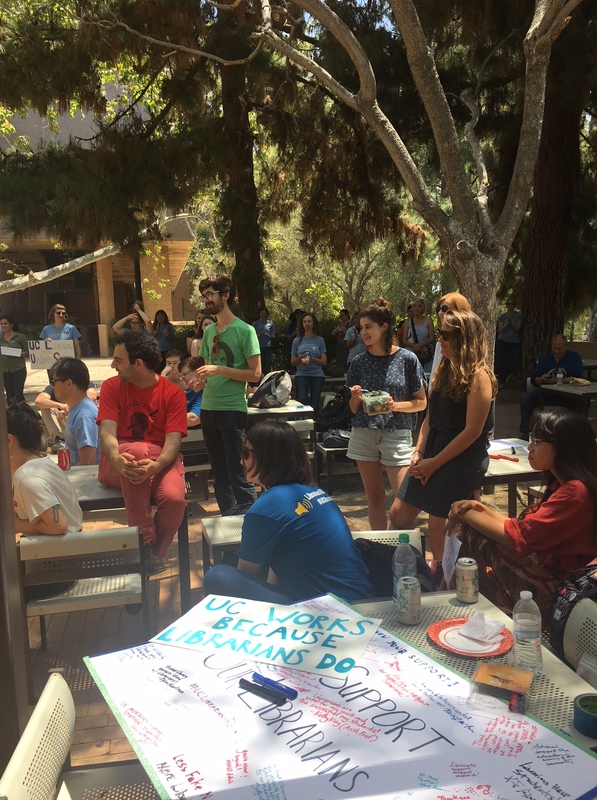 We are conscious of our need to do better in ways large and small on these issues. 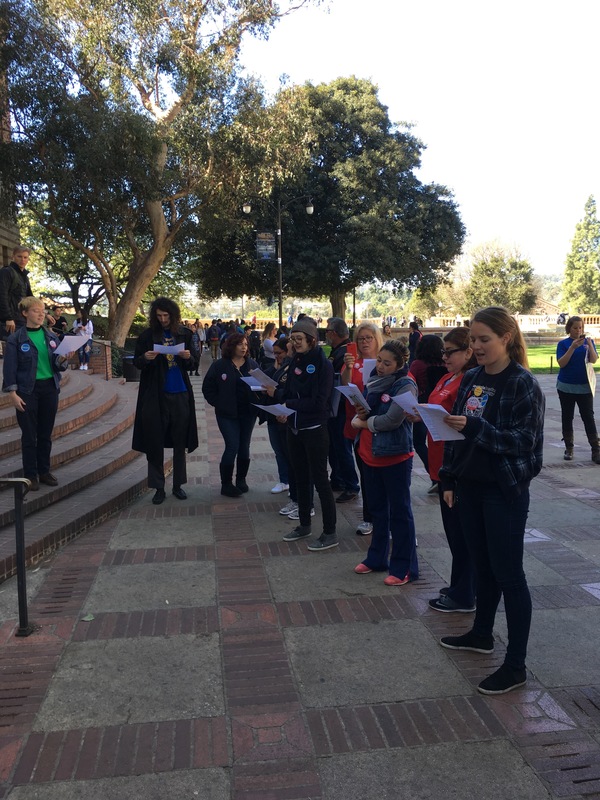 We pledge to learn from this moment and be vigilant against false dichotomies and the temptation to be divided against each other. 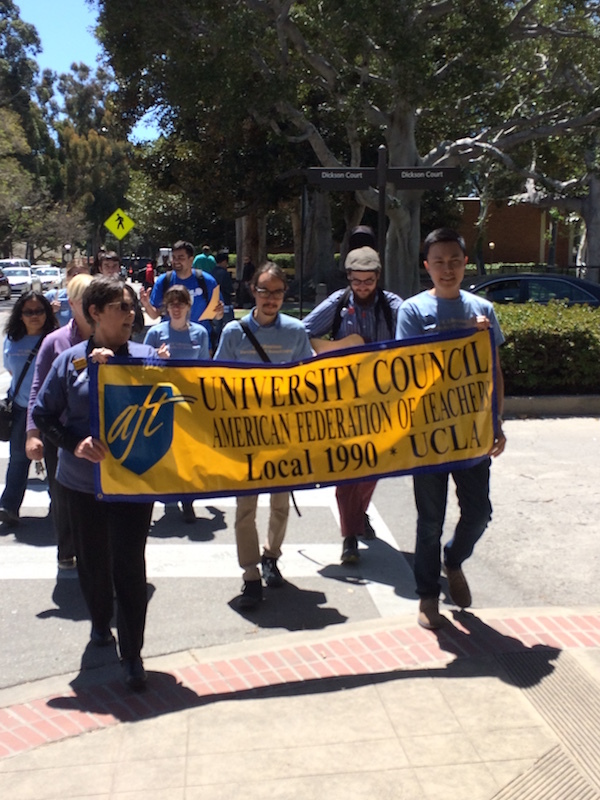 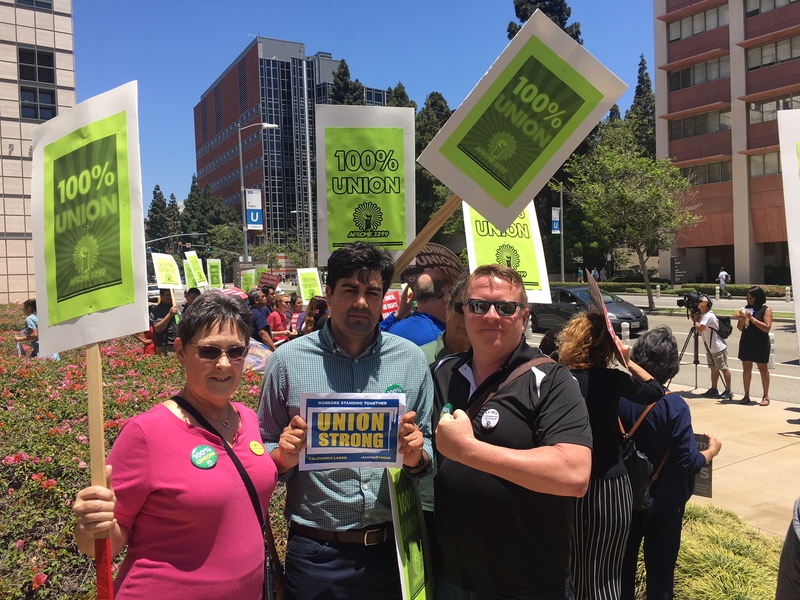 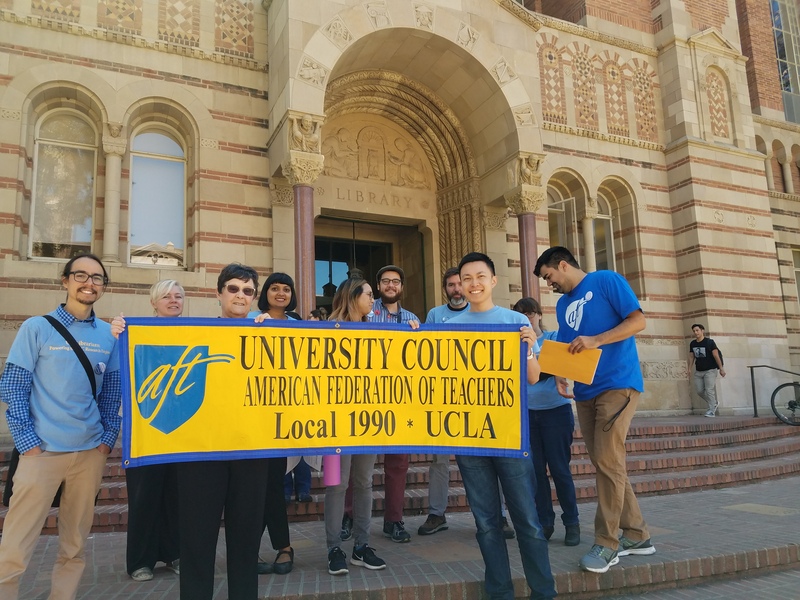 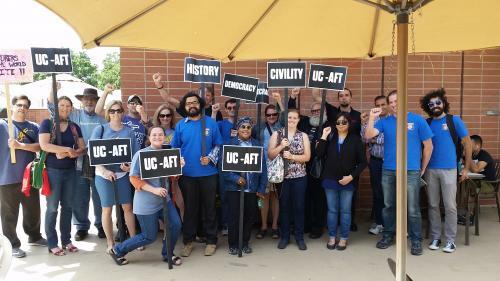 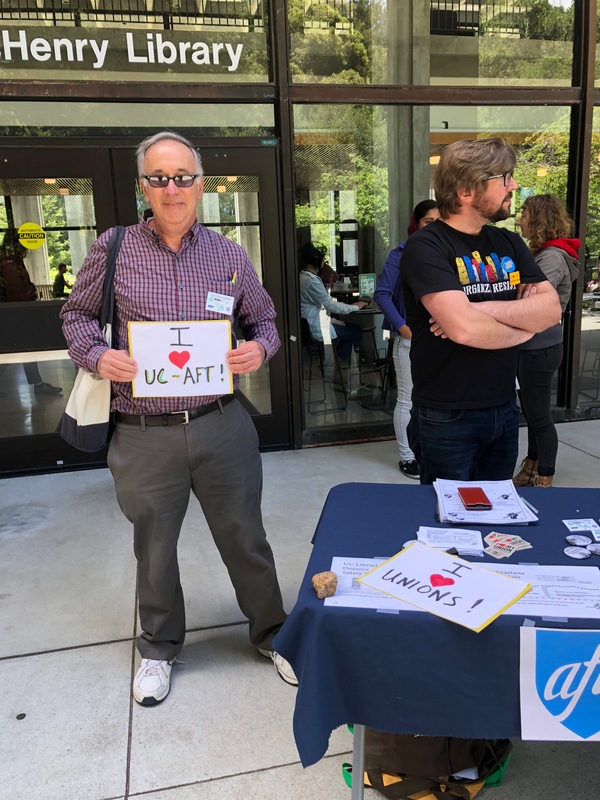 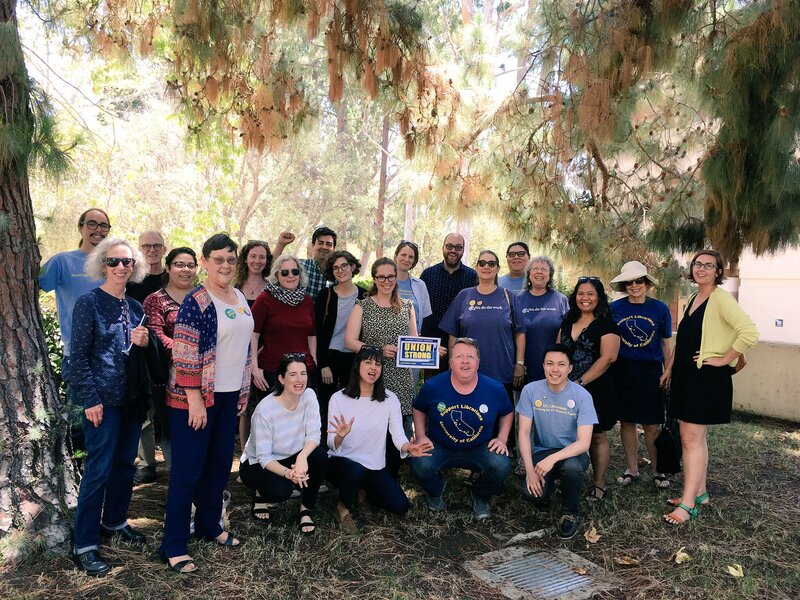 UC-AFT stands united with AFSCME in its current negotiations with the university and will continue to stand with our fellow workers on the picket lines.